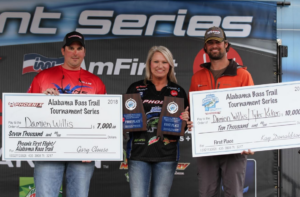 March 23, 2019 – Jasper, Ala. – The one thing a tournament angler does not want heading into a big event is change. Changes in conditions can take a sure thing fishing pattern, and in the matter of an afternoon can turn it into a crap shoot. That is the situation that Alabama Bass Trail Northern Division anglers faced when they arrived for takeoff Saturday morning. With the region being pummeled by constant rain over the past several weeks, the Tennessee River had been running strong with high volume, dirty water. Over the past week, the current flows slowed by more than half, and the system started to clear. In those conditions, savvy anglers make adjustments, and when the moves are right, they can reconnect with their prey. 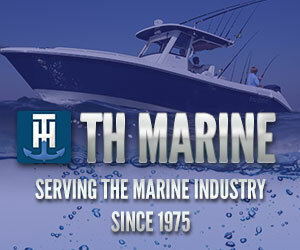 The team of Damien Willis and Tyler Kiker did precisely that on Saturday. 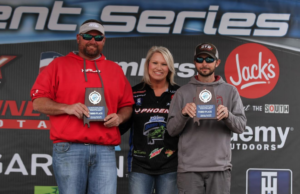 Their adjustments resulted in a winning, mixed bag stringer of smallmouth and largemouth that weighed 22.70 pounds to claim victory, and the $10,000 winning purse at the ABT Wheeler Lake event. The lures they chose were a shad colored Keitech 2.8 Swing Impact swimbait thrown on a jighead, and washed with the current, and they filled in a few keepers on a “crawdad colored Rapala DT10 crankbait. 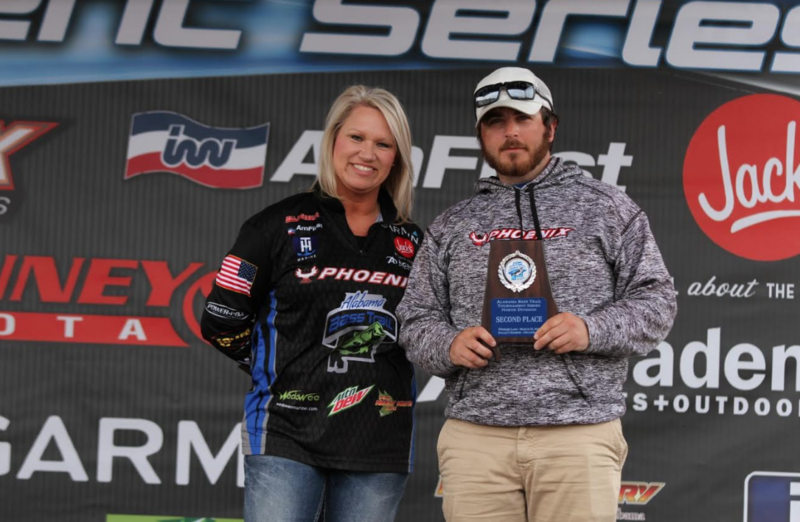 The second place team of Blake Hall and Triston Crowder led for most of the weigh-in, before getting edged out by the winners. 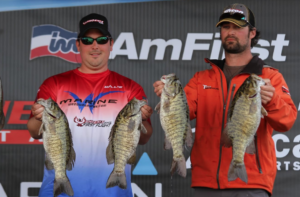 Their 21.98-pound limit of smallmouth and spotted bass was good enough for the runner-up spot, and the $5,000 purse. They reported catching their fish on upriver current breaks with “OxyContin Scottsboro Tackle Company swimbaits on 1/2-ounce jigheads. The team of Lance Whitaker and Jeremy Briscoe finished the day in third place; taking home $4,000 with 21.98 pounds. 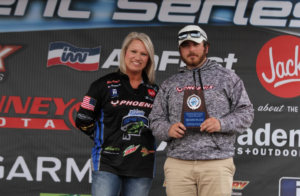 Their creel was anchored by a 6.44-pound smallmouth bass that earned the $500 Mountain Dew Big Bass bonus as the largest fish of the tournament.